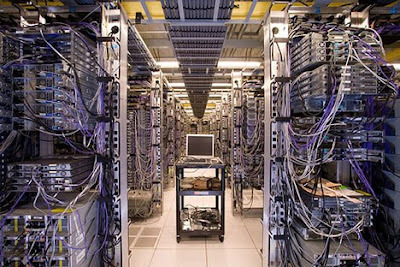 Computers consume a lot of energy, especially when you factor in the amount of energy used in air conditioning server facilities. Energy consumption and cost driven by growing demand for computer services is a major problem for many organizations. Data centers in the United States consume annually more than 62 billion kilowatt hours of electricity - equivalent to the amount used by approximately 5.8 million U.S. households - for a total cost of about $4.5 billion. If current trends continue, that usage could double by 2011. The good news is that there are a number of ways in which you can decrease the energy use and cost associated with computers. Purchase only energy-efficient hardware (Energy-Star should be the minimum requirement for all new equipment). Consolidate peripheral equipment. Using shared printers in centralized locations not only saves energy, it can improve indoor air quality. When you will not be using a computer for several hours, power it down and turn the power strip off to eliminate "vampire energy" drain. For schools and offices that have centralized computer facilities, consider replacing distributed computers with thin clients. Thin clients depend primarily on the central server for processing activities, and mainly focuses on conveying input and output between users remote servers. Evaluate potential of software applications to be migrated to external web facilities. Email is a prime candidate for outsourcing. Reconfigure server layout to avoid "hot spots." Adjust room temperature. Many server rooms are colder than they need to be. Consider alternate cooling methods. For instance, IBM's Rear Door Heat eXchanger "cooling doors" reduce server heat output at the source. For large data centers, consider co-generation. Co-generation is on-site production of electricity and heating or cooling, and is considerable more efficient than using electricity from the grid. * Make sure that all e-waste is disposed of responsibly.